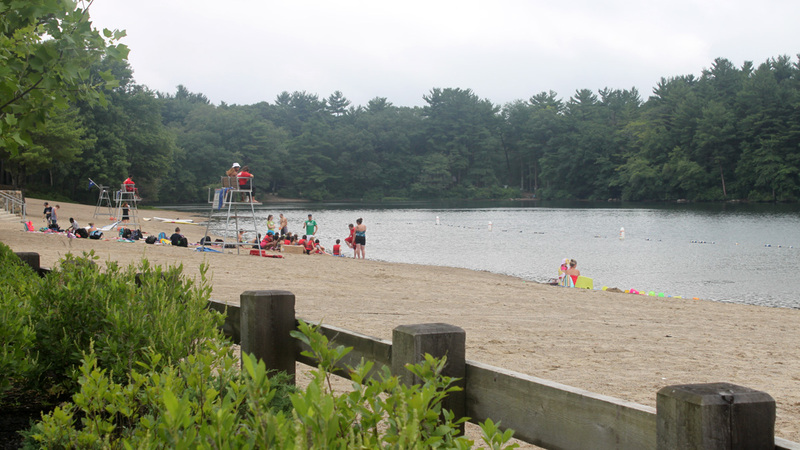 Purchased in 1893 by the Metropolitan Parks Commission, this reservation stretches over 7,000 acres from Quincy to Dedham. It was one of the metropolitan sites proposed by Charles Eliot and Sylvester Baxter in a report published that year by the Commission. The hills were named by early European settlers for the bluish hue of the slopes. Colonists cleared fields, built houses and barns, and logged the hillsides. The reservation contains numerous archaeological and historic resources, including sixteen historic structures which have been listed in the National Register of Historic Places. They represent the history of Native Americans, explorers, farmers, quarry workers, and inventors who lived and worked in the hills. 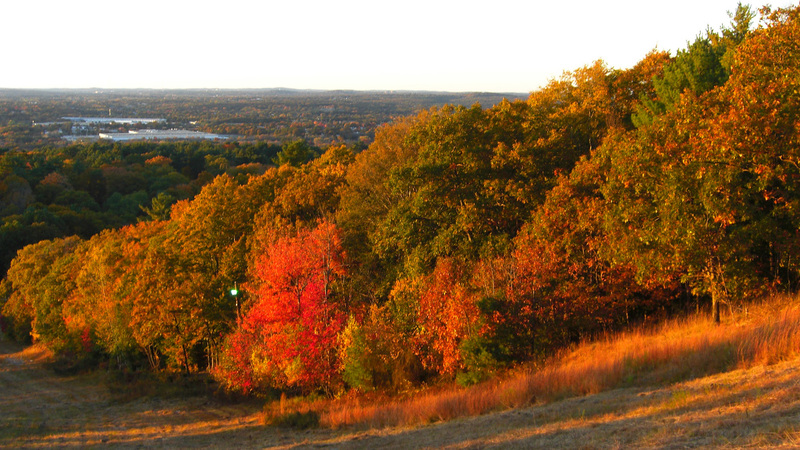 The highest of the 22 hills, Great Blue Hill, reaches a height of 635 feet. 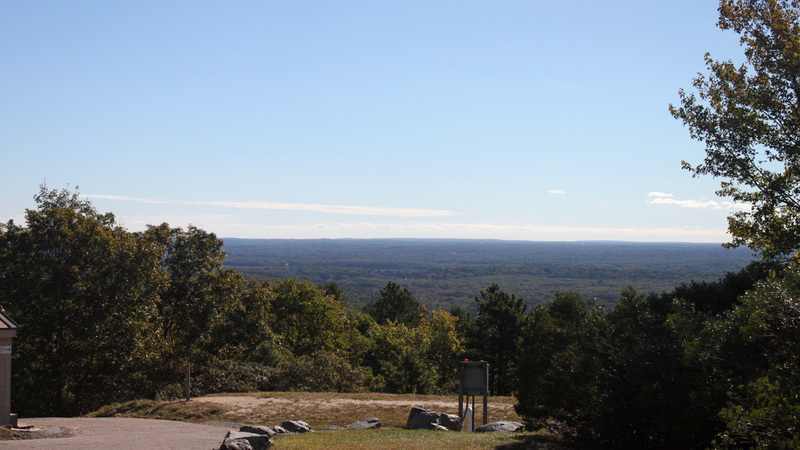 The Blue Hills Weather Observatory, a National Historic Landmark, is located at its peak. Founded in 1885, the observatory is the foremost structure related to the history of weather observation in the United States. 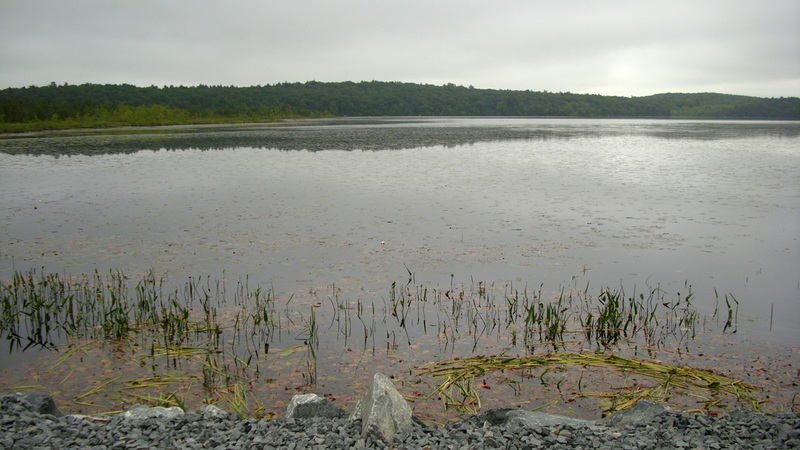 The reservation features varied terrain and 125 miles of trails, which traverse upland and bottomland forests, meadows, swamp and pond edges, marsh, and an Atlantic white cedar bog. 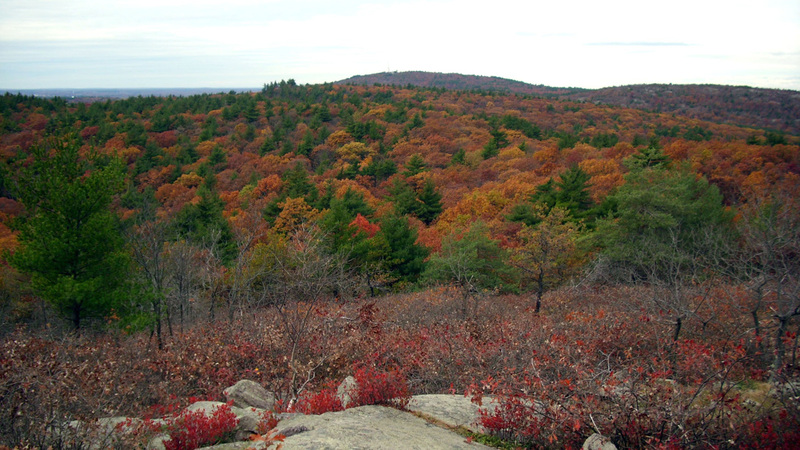 Diverse habitats are home to a large variety of plant and animal life, including species considered rare and endangered in Massachusetts. 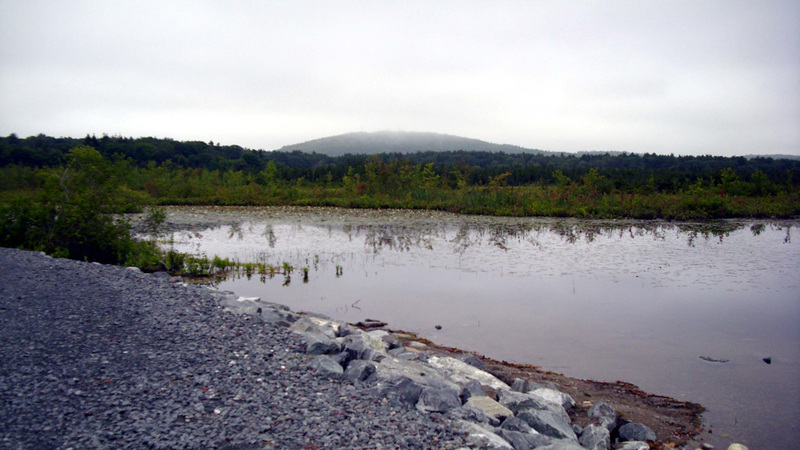 Located in Milton, the Blue Hills Trailside Museum is operated in partnership with the Massachusetts Department of Conservation and Recreation and is the interpretive center for the Reservation. 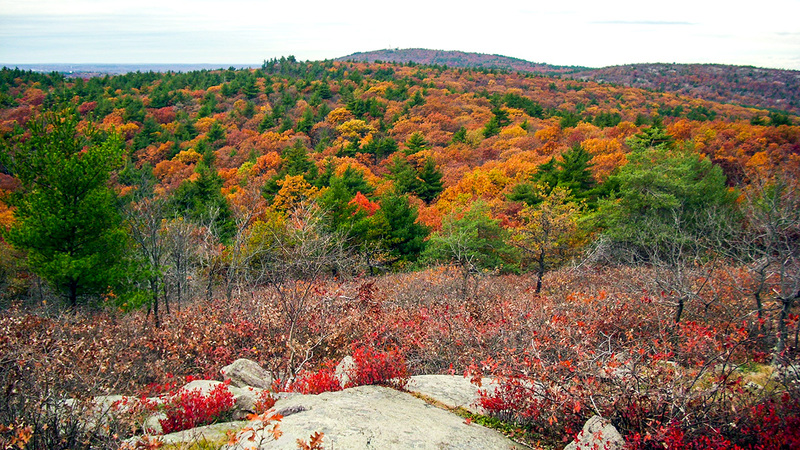 The non-profit organization Friends of the Blue Hills was established in the mid-1970s to help maintain the trails, control invasive plants, and protect the park from inappropriate development. 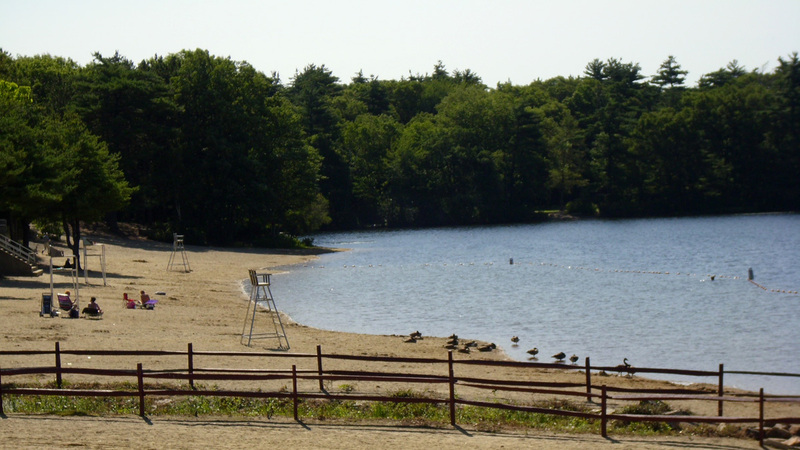 The reservation is owned by the Massachusetts Department of Conservation and Recreation. The Blue Hills Reservation Parkways were listed in the National Register of Historic Places in 2003 as a district.